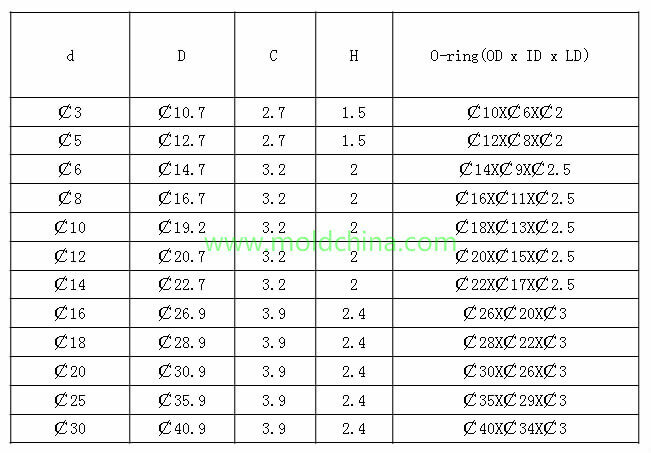 O-ring for water line in plastic injection mold? O-ring is a typical extruded seal, of which the main sealing design elements are the compression ratio and elongation of its cross section diameter, since they are of great significance to sealing performance as well as service life. 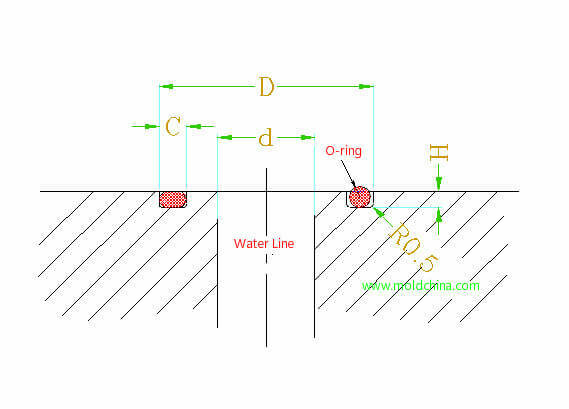 The outstanding sealing effect of O ring largely depends on the accurate matching between the dimensions and groove, thus resulting in proper compression and elongation. 3．Try to avoid permanent deformation. 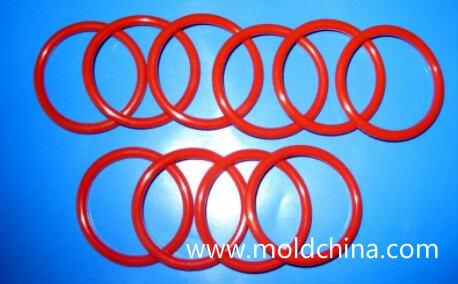 Plastic injection mold company often use red o-rings which can stand high temperature!